Amal’s mother was also sick, recovering from a bout of dengue fever that she had most likely contracted from mosquitoes that breed in stagnant water in their camp. Saudi airstrikes had forced Amal’s family to flee their home in the mountains three years ago. 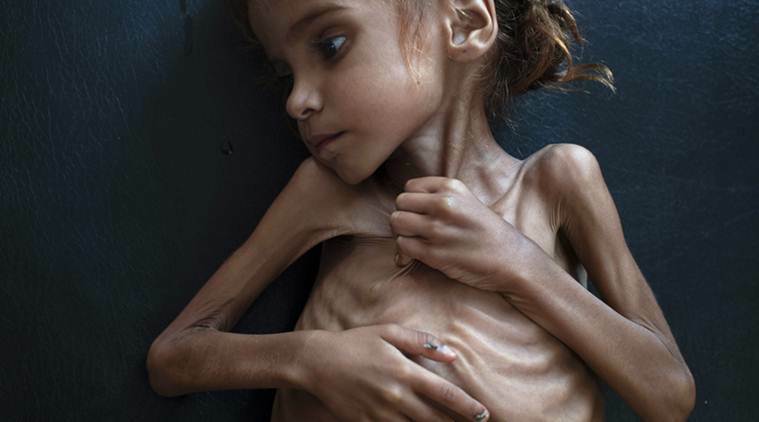 Cairo: A haunted look in the eyes of Amal Hussain, an emaciated 7-year-old lying silently on a hospital bed in northern Yemen, seemed to sum up the dire circumstances of her war-torn country. A searing portrait of the starving girl published in The New York Times last week drew an impassioned response from readers. They expressed heartbreak. They offered money for her family. They wrote in to ask if she was getting better. The United Nations warns that the number of Yemenis relying on emergency rations, eight million, could soon rise to 14 million. That’s about half Yemen’s population. 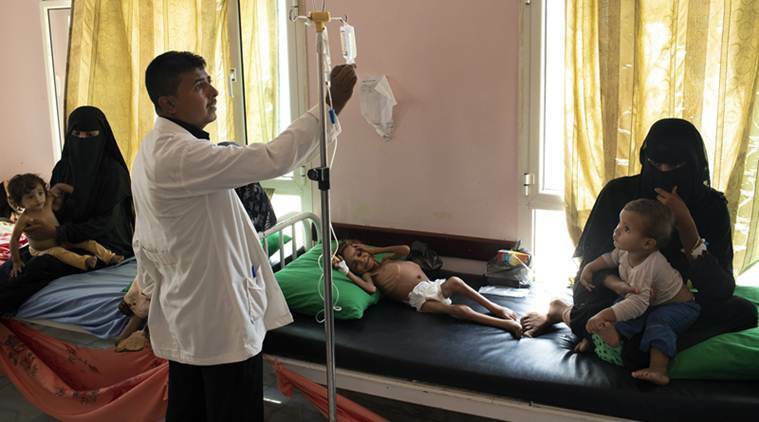 Aid workers and now political leaders are calling for a cessation of hostilities, as well as emergency measures to revive the battered economy of Yemen, where soaring food prices have pushed millions to the brink. Amal’s mother was also sick, recovering from a bout of dengue fever that she had most likely contracted from mosquitoes that breed in stagnant water in their camp. Saudi airstrikes had forced Amal’s family to flee their home in the mountains three years ago. The family was originally from Saada, a province on the border with Saudi Arabia that has borne the brunt of at least 18,000 Saudi-led airstrikes in Yemen since 2015. Saada is also the homeland of the Houthi rebels who control northern Yemen, and are seen by the Saudi crown prince, Mohammed bin Salman, as a proxy for rival Iran. Amal was discharged from the hospital in Aslam last week, still sick. But doctors needed to make room for new patients, Dr. Mahdi said. “This was a displaced child who suffered from disease and displacement,” she said. “We have many more cases like her.” The family took Amal back home, to a hut fashioned from straw and plastic sheeting, at a camp where relief agencies do provide some help, including sugar and rice. But it was not enough to save Amal. Dr. Mahdi had urged Amal’s mother to take the child to a Doctors Without Borders hospital in Abs, about 15 miles away. But the family was broke. Fuel prices have risen about 50 percent in the past year, part of a broader economic collapse, and that has pushed even short, potentially lifesaving journeys beyond the reach of many families.